Spicy, crunchy pickled okra is a great addition to your relish tray at a party or to serve with family meals. 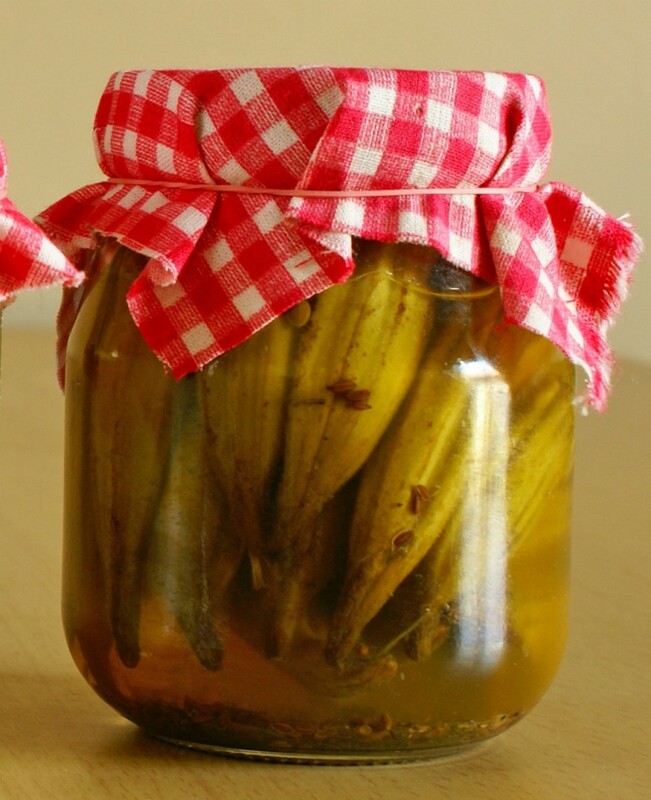 This page contains pickled okra recipes. Okra is pickled and put in jars with a hot pepper, and dill. :) They are processed in a boiling water bath for five minutes afterward. Wash okra, drain and prick the okra. Pack clean okra into pint jars. Place a head of dill in each jar. Place a pepper in each jar. Boil water, vinegar and salt together. Fill jars with boiling liquid. Put on caps, screw bands firmly. Process in boiling water bath for five minutes.